When evaluating policies that can potentially attract new industries, decision makers face a vital question: Does the local workforce’s skills match the new jobs that would be created as a result? 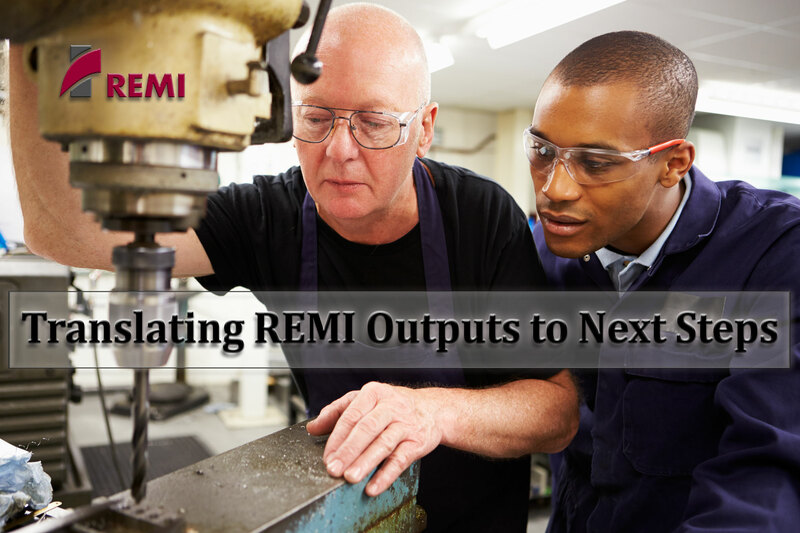 REMI cordially invites you to a guest webinar presentation, “Translating REMI Outputs to Next Steps,” on Wednesday, July 18th, 2018 from 2 to 3 p.m. EST by Michael Siers, Director of Research at Regional Economic Studies Institute (RESI) of Towson University. REMI PI+ allows users to assess different policies by simulating scenarios and estimating potential economic and demographic impacts. When analyzing policy options that could stimulate economic gains, it is important to understand how suited the local workforce is to meet the needs of new industries. For his presentation, Mr. Siers will focus on different strategies to extend REMI analysis to help guide local policy makers on ways to prepare the local economy for growth.